It is an unfortunate reality that disabled people are frequently targeted by criminals. Many scammers will impersonate government entities, major businesses, and recognized brands to gain your trust. Criminals will then try to extract either a payment or personal information from their victim. Personal information can be used or sold for use in identity theft and fraud. In today’s blog, we will discuss some scams that are widespread currently, and how to avoid being victimized in general. Every tax season, there is an uptick in tax related scams. The IRS has released an informational video describing common scam techniques. One scam that has been particularly popular this year involves the criminal claiming that the victim owes the IRS money and they need to pay immediately. The caller will threaten anything from a lawsuit to incarceration if the victim does not make a payment over the phone. Other scammers will take a different approach and say the victim is entitled to a huge refund if they simply make a small payment now. Since October 2013 there have been over 5,000 reported victims of this type of scam. It is an upsetting reality that those on disability are seen as easy targets for scams. 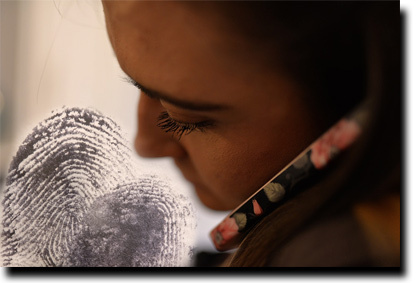 Criminals take advantage of the fact that disability beneficiaries are accustomed to reporting personal information over the phone to government officials. In West Virginia, there were reports of a scam targeting anyone collecting Social Security benefits. The callers claimed to work for the SSA and told victims that they had been underpaid, and they would need to provide their bank account information in order to receive their money. Similarly, there have been reports in Nebraska regarding a scam which told victims they could receive a $2,000 per month grant for a payment of $750. Some scams don’t demand a payment up front. Some scammers are clever enough to convince their victim to give up their personal information, and then the criminal is able to reroute the Social Security benefits to himself. Be wary of unexpected calls. In the words of IRS Commissioner Josh Koskinen, “if you are surprised to be hearing from us [the IRS], then you’re not hearing from us.” Government agencies will generally contact you by mail before contacting you by phone. A scammer will generally present the issue as an urgent matter. They need to get their money before the victim can figure out what’s going on. Government agencies usually do not require immediate payment of debt without having given you prior warning. If you ask if you can call them later, a scammer will likely get more aggressive and threatening while a legitimate caller will provide you with contact information. One of the best ways to determine if a call is a scam is to research the caller. If you search the number in Google, you may find that many people have received calls and found them suspicious. Government agencies generally have their phone numbers listed on their website. The worst part about most of these scams is that the victims rarely receive compensation. Many of the criminals work from foreign countries which provides them protection and anonymity. If you have been victimized, the Department of the Treasury provides a guide to reporting fraud and there are additional resources available at stopfraud.gov. While it is unlikely that you will recover any lost assets, reporting fraud helps law enforcement and can help prevent others from becoming victims. Be vigilant and stay safe. 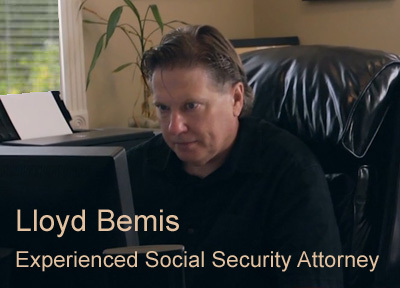 The team of disability lawyers at Bemis, Roach & Reed knows how crucial disability benefits can be for maintaining financial stability. Our attorneys are assisting clients with their disability cases in cities all across Texas, including Austin, Houston, Dallas, Fort Worth, Galveston, and Corpus Christi. If you are seeking disability benefits because of a sleep apnea diagnosis, contact our attorneys today at no cost to you.